The Leeds City Varieties is a music hall in Leeds, West Yorkshire built in 1865. The original interior is largely unaltered and rare example of the Victorian era music halls of the 1850s and 60s with a long rectangular auditorium and boxes separated by cast-iron columns. Charlie Chaplin and Houdini performed there in the early days. 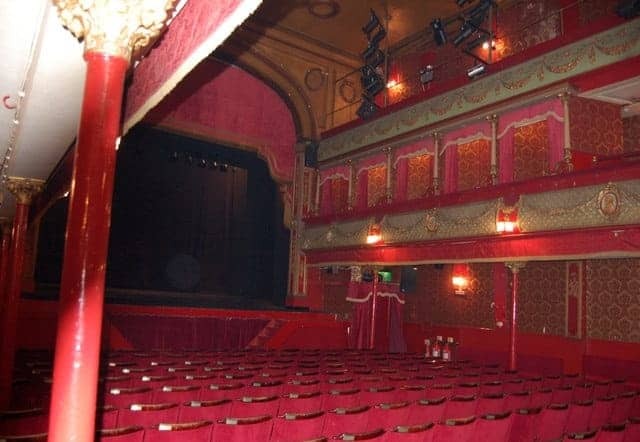 The theatre was famous as the venue for the long running BBC television programme The Good Old Days, a re-creation of old-time music hall. The recently refurbished venue still presents live music hall events as well as pantomime, stand-up comedy and music concerts.